"Real Boxing"- is the updated map for fans to face off, where you will fight with real boxers. Boxers will not be simple, it will be mobs (you have to overcome them). 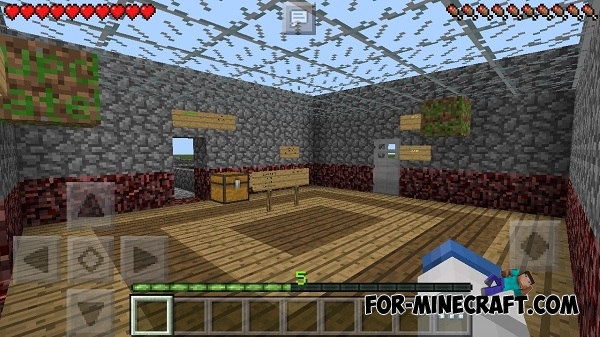 In addition, the shop is located on a map where you can buy necessary items. This map has its own rules. You will not be able to break the blocks, can not use cheats, and so on. 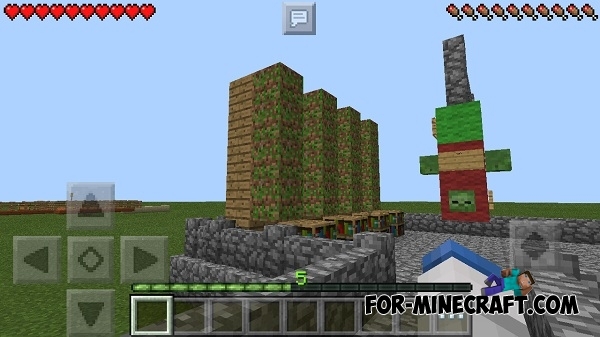 Look Face Mod / selfie mod for Minecraft PE 0.11.1 / 0.11.0This mod adds one of the most useful features - the ability to make the selfie.